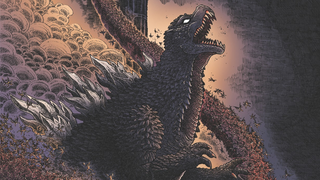 In This Week's Comics, Godzilla Goes to Hell. Literally! It’s a quiet week for new comics, but that doesn’t stop the King of all Kaiju from stomping onto the scene—and into Hell itself! But that’s not all: Scott Lang and Hank Pym team up in an Ant-Man special, Valiant begins their new Summer event, and the comic book adventures of Steven Universe get collected! Want to see what else is out this week? You can see the full list here - and find out where your nearest Comic Book Store is here!